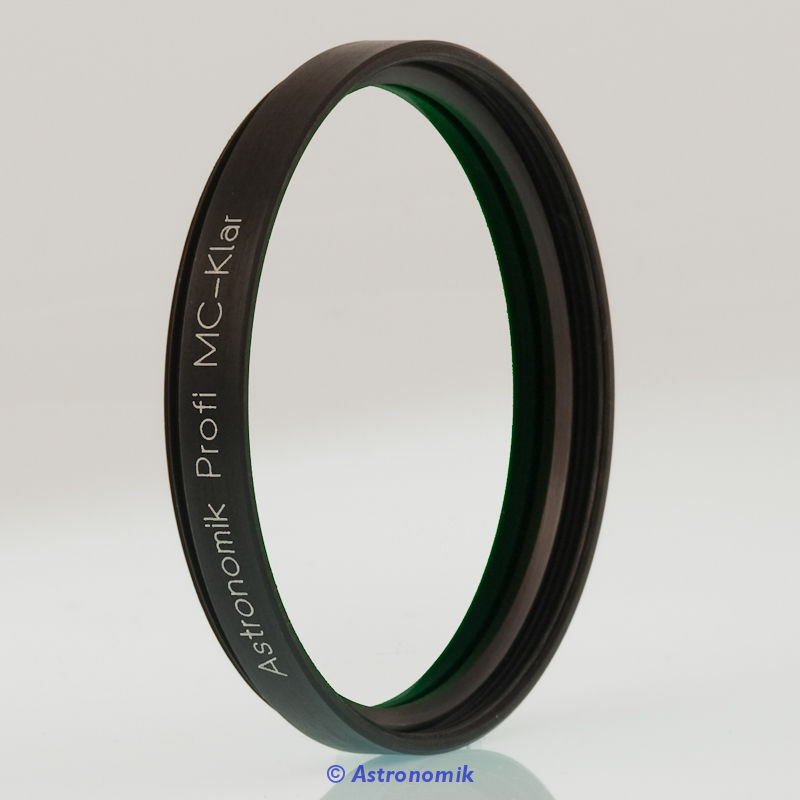 This Multicoated (MC) glass serves as dust protector or to keep your system parfocal with other Astronomik filters. 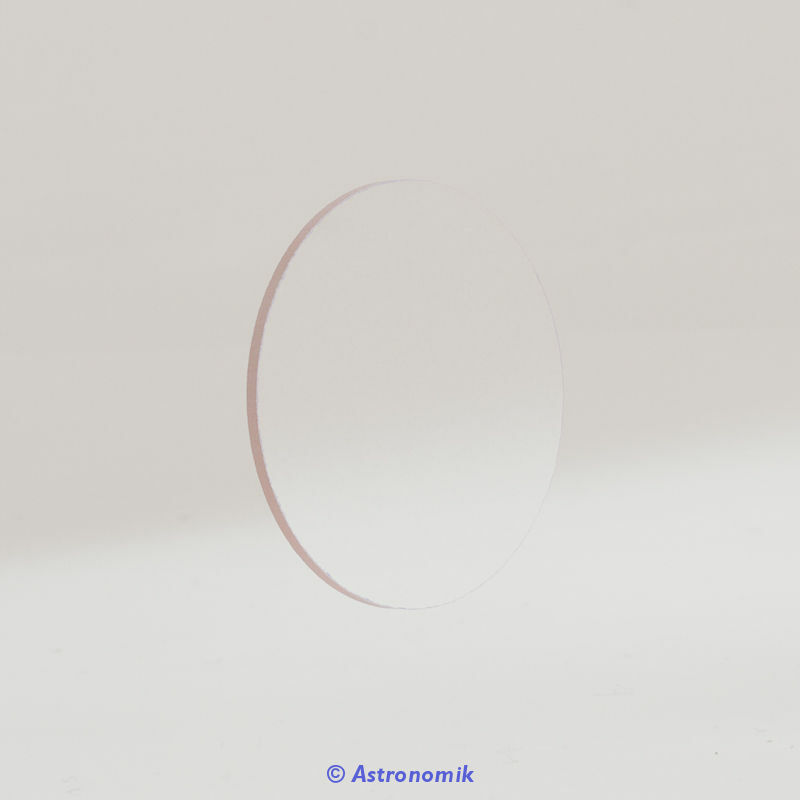 This filter should be used if the focal plane of your imaging system should stay in the same place as with other Astronomik filters in place. The multicoating prevents you from unwanted reflections. It blocks neither IR nor UV. 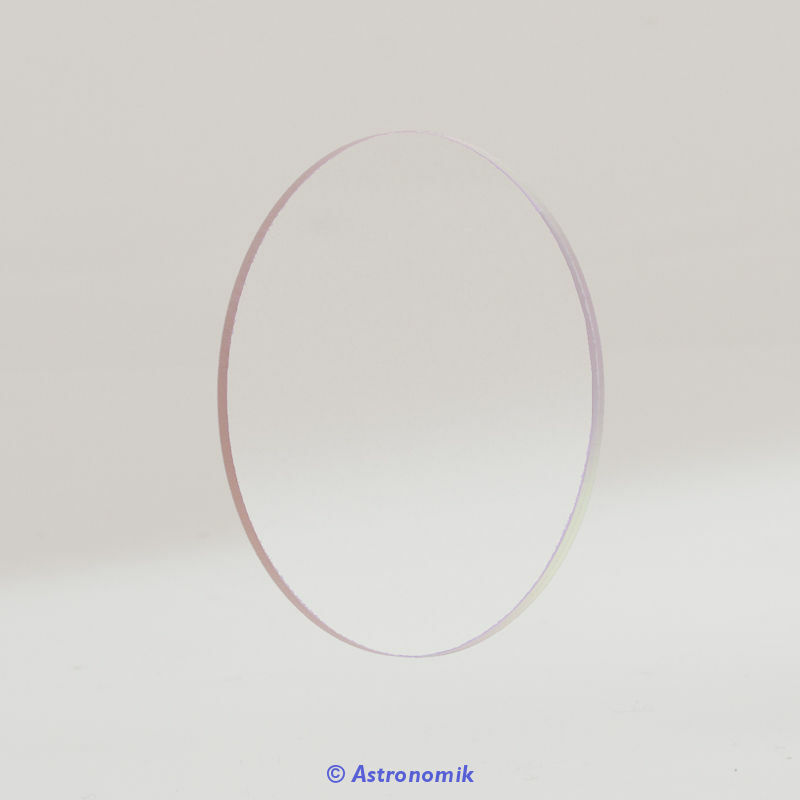 The second main application is dust protection of your system (telescope or camera). 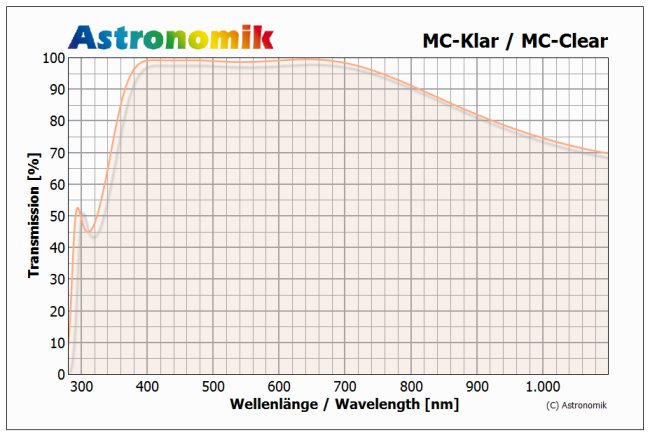 As the filter doesn’t modify the spectral transmittance of your system it doesn’t alter the colors. 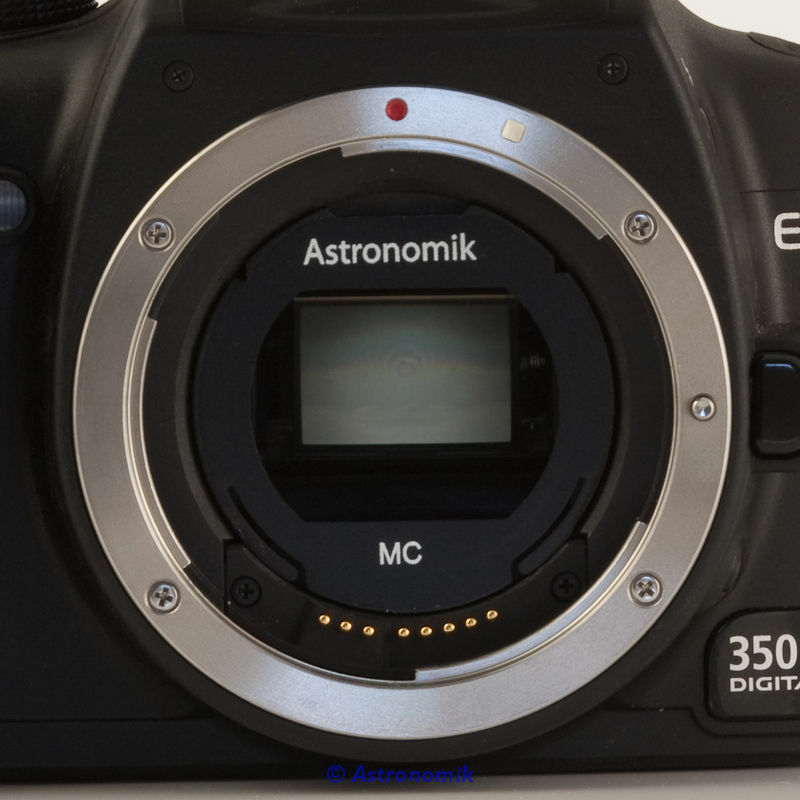 It’s great for keeping all dust away from your optics or sensor. 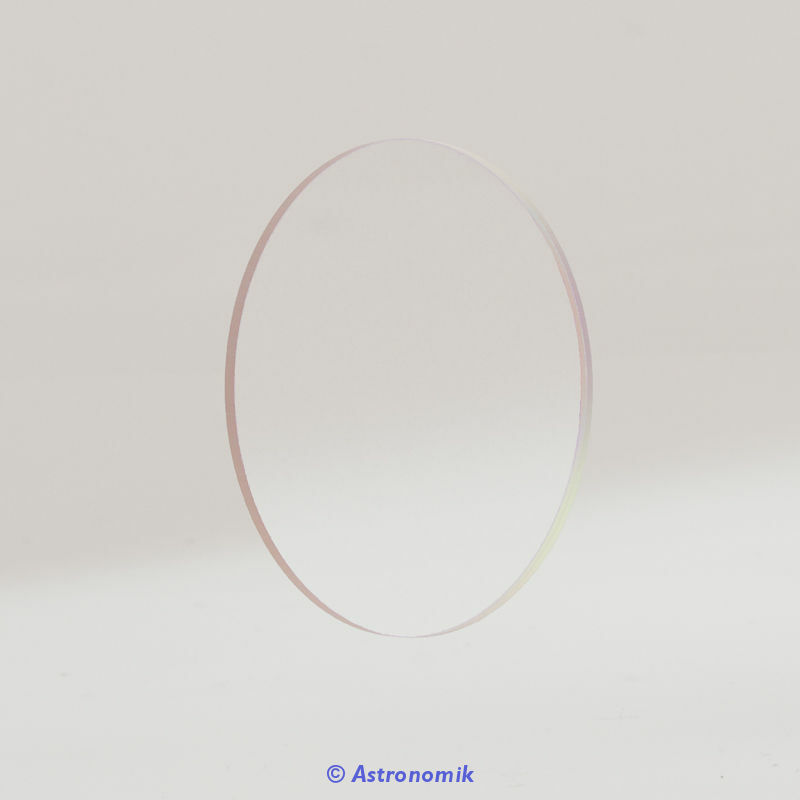 Lots of Astronomik MC Clear filters in custom diameters are sold to camera manufacturers worldwide. They like the great coating and scratch resistance! 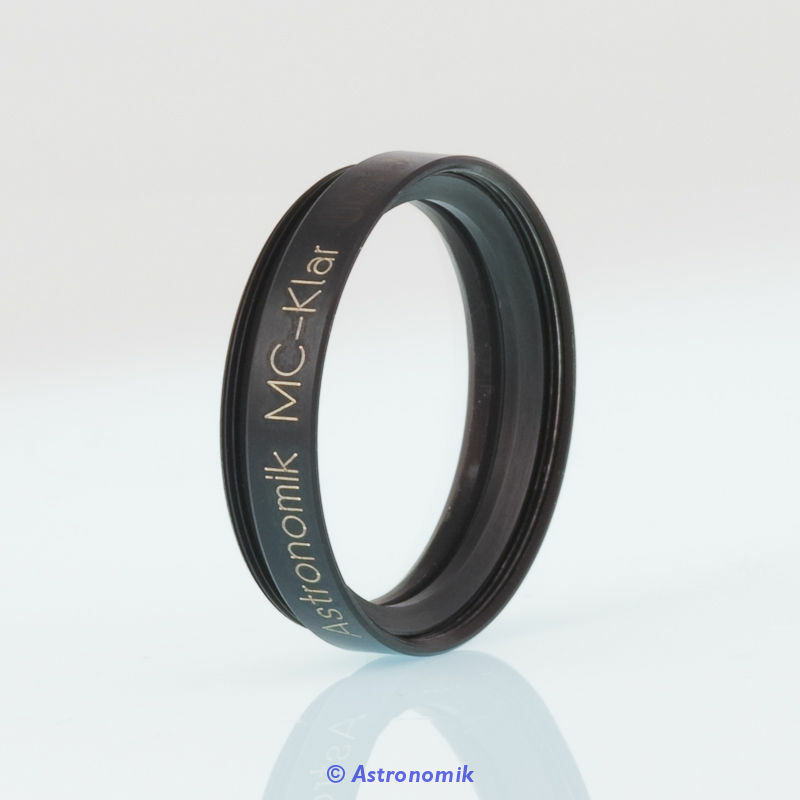 The Astronomik MC Clear is made by the same high-end process as all other Astronomik filters. 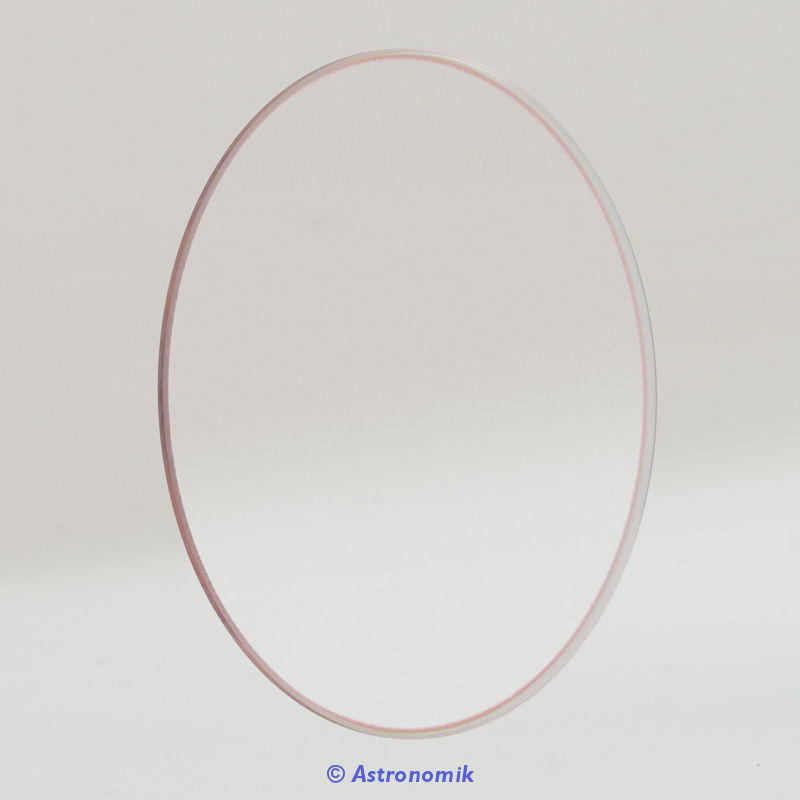 The coating has the same scratch resistance and the substrate has the same high quality. 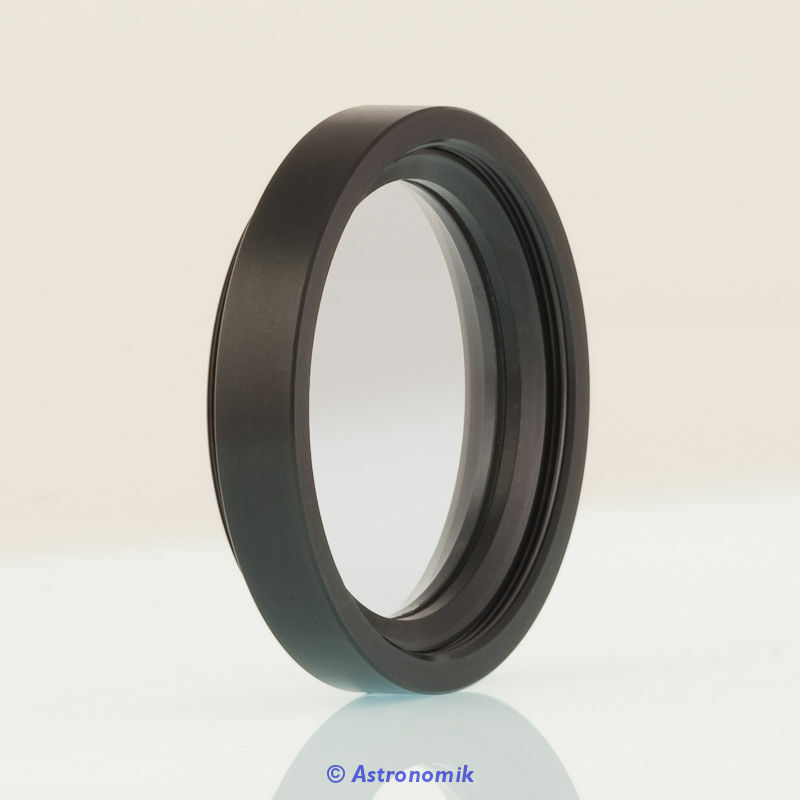 Because of this it is parfocal with all other Astronomik filters and can be used in any optical system for dust protection without modifying the spectral characteristics and without destroying the optical performance of your system. 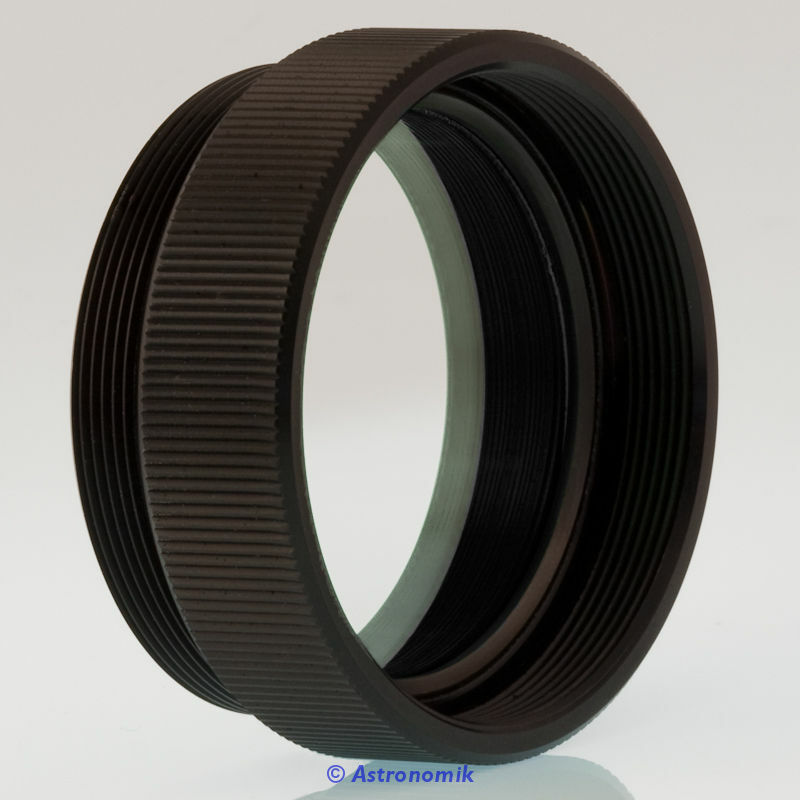 As an alternative instead of the UV-IR-Blocker if your system has no refracting elements. You should think about using the IR-blocker or even the UV-IR blocker if you have a system with any refracting elements.